Jaxson Davis is a lowbrow artist born in Billings, Montana. 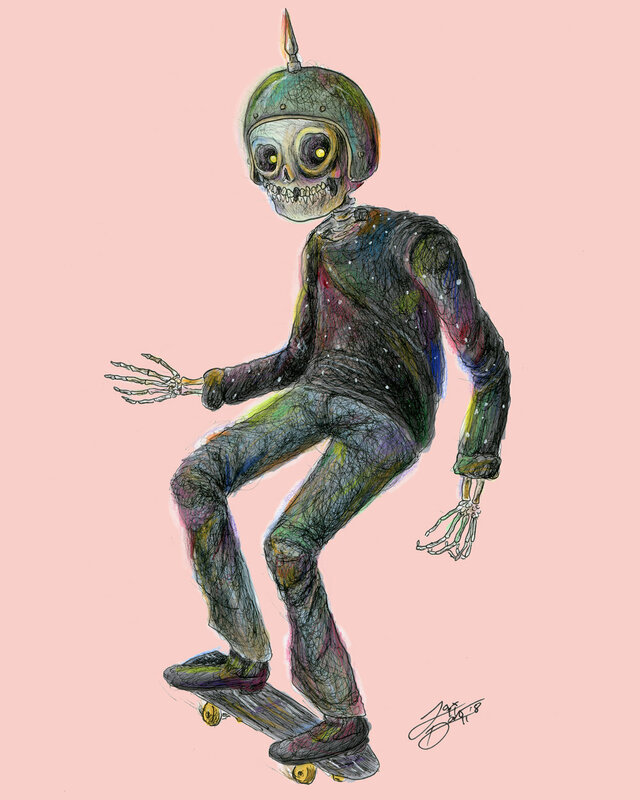 He likes to draw creatures in vintage clothes, anthropomorphic animals, and macabre creeps. 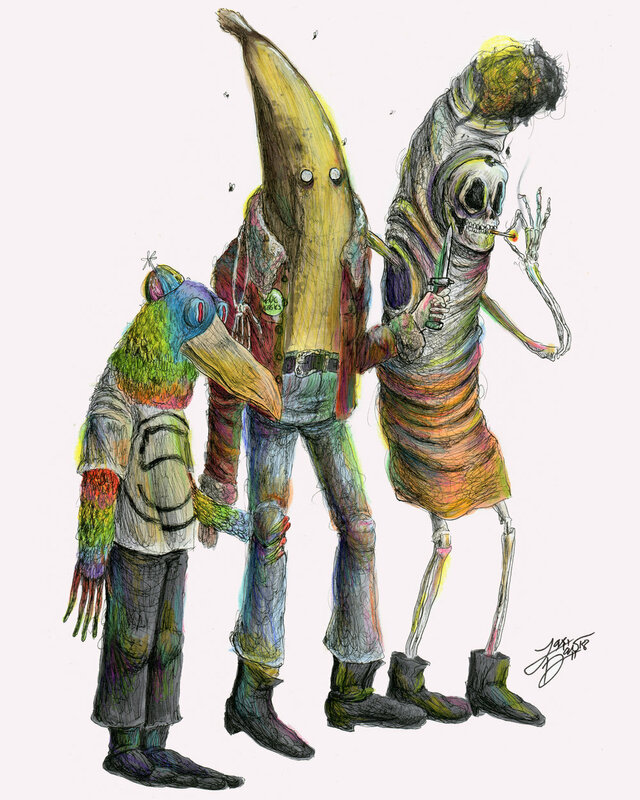 Jax's art career blossomed in late 2016 when he chose to draw a banana with a leather jacket known as The Bad Banana. 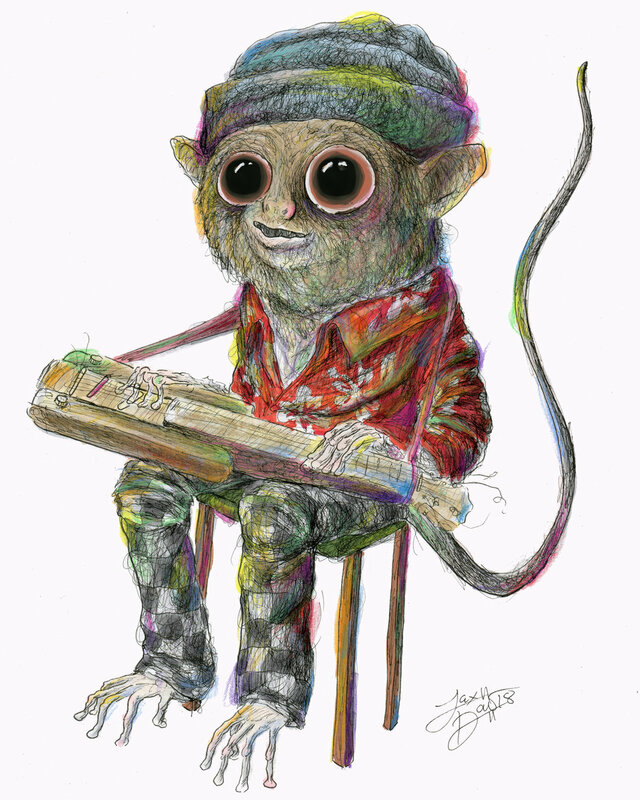 Since then, he has drawn over 200 original illustrations and has created over 100 original characters.